The purpose of this website is to inform the public. We encourage individuals to do their own due-diligence. "No one is interested in putting our residents at risk, but we need to look at ways to better support businesses and non-profits in seismically upgrading their buildings. A placard is a band-aid for a much larger problem. Until we have better support in place, especially in the form of funding assistance for these projects, I want placarding enforcement on hold for businesses and non-profit organizations," Hardesty said in a statement released Thursday. These buildings are the cornerstones of Portland's Main Streets. They make up the character of our neighborhoods. The loss of these historic place-makers will forever change the physical and cultural landscape of our city. There are 1,640 URM buildings identified. These include commercial, multi-family, church, theaters, schools, and non-profit buildings. The city has also prioritized adding all soft-story and non-ductile concrete buildings if this passes. That will demolish more of Portland's old and historic buildings. This mandate will trigger the need for buildings to be emptied an estimated 12 months. The proposed policy has no plan in place for displacement of residents and small businesses. 1,800 of 7,000 residential units are public-financed affordable housing. Displaced residents and businesses may face higher rents. What if building owners cannot afford it? To check out what we presented at the Council Meeting, click here! The only viable financing solution that has been proposed thus far is SB 311, which would give URM owners a 15 year partial abatement on their property taxes, but this would scarcely cover the cost. Unless a better solution is found soon a sizeable chunk of old Portland will be gone 50 years from now – either by quake or by the wrecking ball. Thank you to all who testified at the June 13th Council Meeting and gave compelling testimonies. We are proud to stand together in this fight to preserve the very heart of our communities, our churches of worship, our meeting places, our community centers, our start-ups, our music venues, our restaurants/pubs and our “Main Streets.” This is an assault on the very soul of Portland. Uploaded by eGov PDX on 2018-06-13. The city’s seismic upgrade program is losing steam as it nears the finish line: a City Council hearing May 10 on proposed mandates on owners of unreinforced masonry buildings. The URM Seismic Retrofit Project Policy Committee, a stakeholder advisory group administered by the Portland Bureau of Emergency Management, issued a “consensus” report last November, but now members of that body say there never was a universal acceptance of its recommendations. My View: Unreinforced masonry - What price safety? 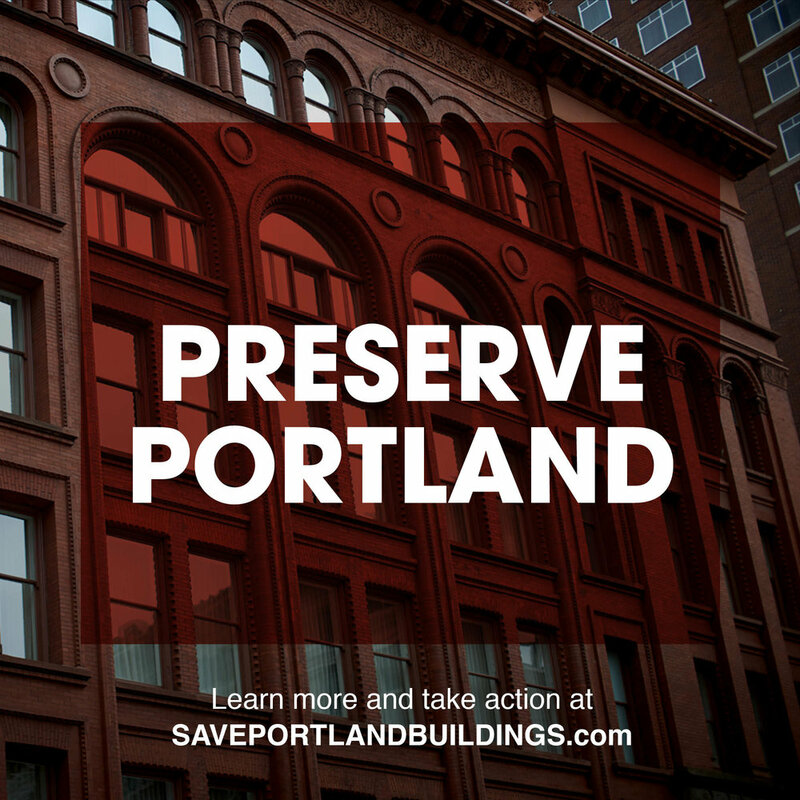 Mandating that owners retrofit their buildings at unaffordable costs without provisions for adequate and reliable sources of funding can only lead to forcible building sales, demolition of Portland's character and important structures, and the displacement of businesses and residents. Discussions about mandating retrofits for 1,640 unreinforced masonry buildings in Portland raises concerns about the direction in which the proposed policy appears to be moving. While we agree with an attempt to make our unreinforced masonry buildings safer, we cannot support the burden placed on private property owners and the businesses and residents that reside in those buildings. Pippa Arend loves her historic landmark apartment building on Northwest 23rd Avenue and wants to spend the rest of her life there. But if the city adopts proposed seismic upgrade requirements, she fears the building will have to be demolished. Portland’s 1,731 unreinforced masonry buildings may be coming down in the foreseeable future. The culprit probably won’t be the dreaded magnitude 9.0 earthquake but rather a seismic retrofit program designed to prepare for it. No neighborhood has more of these old brick buildings than the Northwest District, and Old Town Chinatown is not far behind. Their 254 URM buildings give these areas much of their architectural character and charm. For now, at least. Proposed mandates on building owners are expected to go to the City Council by the end of March. Cost predictions for compliance range from substantial to staggering, and many close to the issue predict that owners will be driven to sell at discounted prices to developers, who will find it far more profitable to replace rather than save the buildings. “Building owners who rely on their buildings for their income and retirement are going to lose that livelihood,” said Steve Rose. As CEO of Bristol Equities, a company at 2078 NW Everett St. that owns 37 apartment buildings, Rose doesn’t put himself in that category. But he has talked to many people who own a single building, the typical pattern among Portland’s URM properties, and their situations are bleak. With proposed upgrade deadlines, will we see demolition of historic buildings on a massive scale? Many historic buildings across Oregon – schools, theaters, churches, apartments, and commercial storefronts up and down our Main Streets – were constructed of unreinforced masonry. Known as URMs, they were built in an era when the threat of a major earthquake in the Northwest was unknown and the primary safety concern was fire. The vast majority have not been seismically upgraded. Seismic retrofitting for URMs is mandated in earthquake-prone cities from San Francisco to Tokyo. In Oregon, it is not – but that may change. The Portland City Council will soon consider a recommendation from a Seismic Advisory Committee to enact a set of mandatory seismic upgrade standards and deadlines. The standards are tiered based on the use of the building, and the deadlines range from 10 to 20 years. Other cities in the Cascadia Subduction Zone (roughly the western third of the state) may follow suit. Seattle is also poised to mandate retrofitting.